Our Assistance is 100% Free to You. Certified Covered Ca Agents. Check! Licensed California Health Agents. Check! Independent Agents contracted will all major carriers. Check! You have an advocate in the market. About time! And not a second too soon. Everything has changed since 2014. Everything! All free to tools to make the process easier! We pledge to be helpful, patient, and friendly for all your interactions with us. Try Us! With over 20 years and 10's of thousands of policies, we have no complaints with the DOI! Zero. Assurant, CalCobra, Delta, VSP, and dozens more! 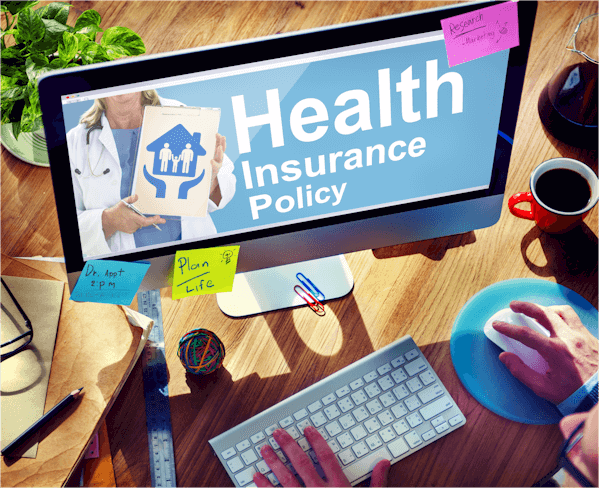 We are independent health insurance agents that specialize in California health insurance for over 20 years. This independent designation has never been more important than now with all the changes occurring on the California health market. Let's discuss why this is so and how we can help you navigate a marketplace that has hasn't changed this much since it's inception. On your computer or phone, open Google Maps and make sure you're signed in. Search for a Goodacre Insurance Services (top left). 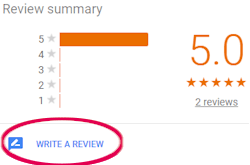 On the left, scroll down and click "Write a review". In the window that appears, click the stars to score the place. You can also write a review (but nothing really mean :). People are busy but we really want to hear how we are doing! Thanks! First, the independent aspect of our agency. There are two kinds of health insurance agents on the market. There are captive agents which only market, sell, and discuss one carrier's product. Needless to say, this is not in your interest as a shopper and the first question to any prospective agent is whether they are independent. We are and have been since 1995. That's almost two decades of direct focus on the health insurance market in California. Only with years of experience do you really know all the facets of what to look for and what to avoid. If you speak to one of our associates or email us a question, you'll be able to hear this experience right away and know that you're in good hands. There's no faking experience. Secondly, we Are impartial as a result of being independent agents. This is equally critical to have as your 3rd party liaison to this marketplace. 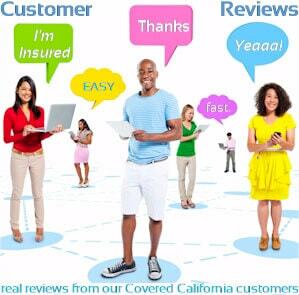 We do not have a preference for any one carrier and we are contracted with all the major California health carriers. We are paid a commission by the carriers but they are all very similar and the rate to you is identical. It's very similar to a travel agent in that your rate for a given plan is exactly identical through us or directly through the carrier. You can always contact the carrier but you'll find very quickly that we are faster, easier, and more thorough to deal with. There are advantages to being a very large company (the carriers) but also frustrations inherent in the sheer size of the carrier. With us, you can take advantage of their size while utilizing our strengths and customized service. Again, the cost of our service is free to you. 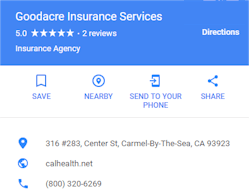 With this, we can guarantee that you will get the absolute best and lowest California health insurance rate available on the market for a given carrier and plan based on your demographics. As licensed agents, we are required to undergo stringent testing and continuing education not only regarding the California health insurance market but in regards to ethics and proper conduct of business including your privacy. 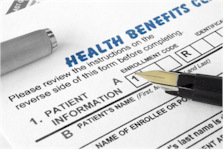 Health information is one of the most important types requiring strict codes of conduct. We take this very seriously and have never had any issues regarding our client's privacy since our inception. Finally, and we really feel this is the most important aspect. 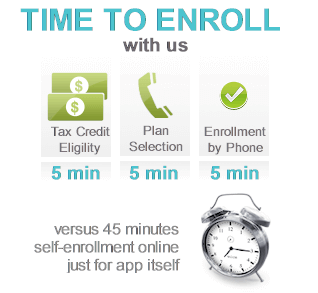 We really want to help you find the best and most affordable health insurance for your situation. 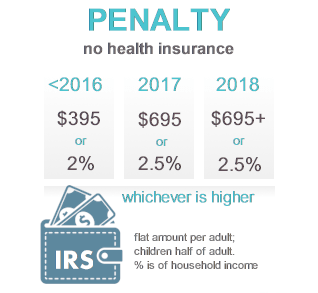 When HSA's came on the market, we were one of the first to embrace them realizing they could save our clients 1000's of dollars...and they did. Our basic tenet dating back to when health insurance premiums started to skyrocket was that California catastrophic care or high deductible health insurance was probably the future. We wish we were wrong but unfortunately, this is the direction that health insurance has trended in California. If you speak to our associates or email us questions, you'll get a very direct and honest response to help you narrow the options in your interest. That's the key...in your interest. 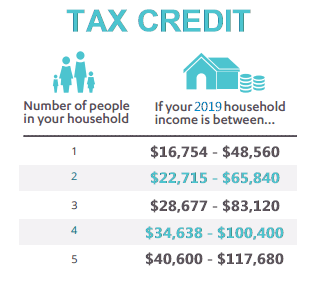 Most of the time (if not all of the time) the plans recommended will be lower middle to low in terms of pricing because that's what makes sense to anyone who can qualify for coverage. As part of the mission, you'll find 100's of articles (more coming every week) to help you learn on your own. Of course, if you have questions, we're here to help you at 800-320-6269. You can run your California Health Quote here to view rates and plans side by side from the major carriers...Free.